Brazilian newspaper Jornal do Comércio reports [Google translation, via MacMagazine.com.br] that Apple has been hit with a class action lawsuit over its introduction of the fourth-generation iPad in the country. The lawsuit, led by the Institute of Politics and Law Software (IBDI), reportedly alleges that Apple's deviation from its usual yearly product update cycle amounts to "planned obsolescence" that harms customers who bought the previous generation of the device. The institute claims that the iPad 4 is not [an] effective technological evolution [compared to] the iPad 3 or 'New iPad', characterizing [a] sort of "planned obsolescence". In practice, the accusation is that the Apple iPad 3 could have reached the shelves with the characteristics presented in the fourth generation - a processor, a connector and a camera a bit more advanced. The lawsuit also alleges that Apple did not adequately communicate the discontinuation of the third-generation iPad in favor of the new fourth-generation models in the country, with consumers unknowingly buying the "obsolete" third-generation models. An expanded article [Google translation] from O Hoje says that the suit is seeking free replacements for customers who purchased the third-generation iPad, as well as reimbursement of 50% of the purchase price. Finally, IBDI suggests that Apple be subjected to a fine equal to 30% of the value of each third-generation iPad sold in the country to address improper commercial practices and misleading advertising. Apple said that it was unaware of the lawsuit, which was filed in federal civil court on February 6. The new lawsuit is not the only difficulty Apple is experiencing in Brazil, as just last week the company officially lost a trademark dispute over the "iPhone" name. The owner of that trademark just barely slipped in under the deadline to make use of the mark by launching a line of Android phones back in December. That company, Gradiente, had applied for the trademark in 2000 and was granted the rights to it 2008. It has indicated that it is open to selling the mark to Apple, although is able to continue selling the iPhone under its current name while additional appeals and negotiations play out. Update 9:15 AM: TechLinhas reports that it has contacted IBDI about the matter, with the organization claiming that it is unaware of any such action in Brazil. The site is following up further with IBDI and the lawyer quoted in the news stories. Update 1:29 PM: TechLinhas has now confirmed with the lawyer quoted in the original report that the story is indeed true. Unless the third generation iPad's all stop working, then they need to stop crying and stop wasting people's time. Funny, my iPad 3 still works fine. 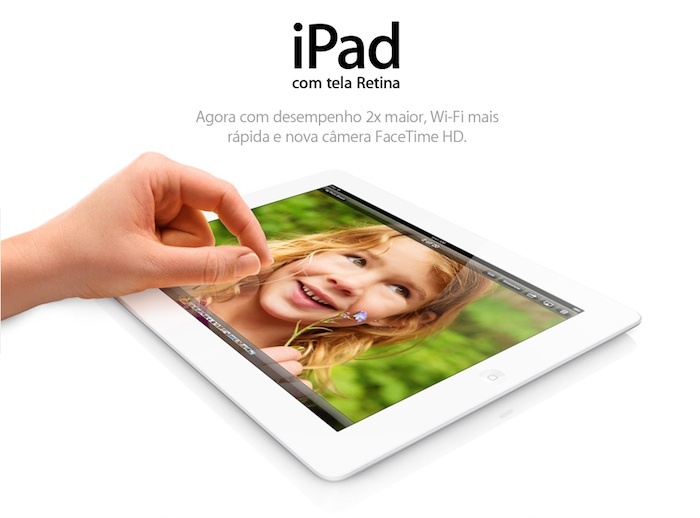 Apparently ones bought in Brazil stopped working as soon as iPad4 came out. the US isn't the only country with sleezy lawyers willing to sue over anything. In the US I'd say this would be tossed out within seconds. In Brazil...? Brazil, go buy your tech elsewhere. Say, from 5 years ago. So where are all the lawsuits against the Android manufacturers that crap out a new device every month? Really? It didn't even change name or look. It's just an internally improved vesion of the 3rd generation one. There are no new actual features. Companies do internal revisions of products to improve them all the time. Planned obsolescence for me would be removing features from a product in order to make them exclusive to a newer version. Like if Siri locked up or something. How is it up to lawyers to determine if the 3rd gen iPad should have been the 4th gen one in the first place? If the A6X chip wasn't ready, well it wasn't ready. Lesson to Apple: Don't update Brazil's products except once per year. They get a model late? Oh well, too bad.